Tools to keep you and your customer connected throughout the build process. Builders Software Enterprises was founded on August 20th, 1990. That was the date Rick Powell sold his first estimating software program to a homebuilder in Fort Worth, Texas. Rick's ten year experience as a homebuilder gave him the background to create a software system that would work logically for a builder. Now, 20 years later, over 1,500 homebuilders, remodelers, land developers, and light commercial contractors are using BSE's software solutions. The BSE Estimator interfaces with Quickbooks Contractor or Premier packages, perfect for small to medium size building contractors. Follow your construction project from the estimate right through to the accounting. QuickBooks Gold DeveloperThis software product has passed the QuickBooks Technical Review process for Intuit Developer Network members. BSE Companies built our first website in 1996, and we've been building quality websites for homebuilders, as well as other selected clients, for nearly Twenty-Four years. 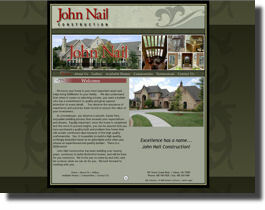 Today we build dynamic websites that give you access to simply upload your words and pictures to your website yourself! How cool is that?! Check out our Website Solutions area for the complete list of website solutions. If you need a website built or hosted, or domain name or mail server services, then BSE Companies is your one stop shop.